Snack Or Die, once again brings us masterly crafted gaming nourishment. Not like any of us lazy bums will actually make these in between CoD4 matches though. They’re pretty though! My Great Aunt makes some red velvet cookies, they’re pretty delicious, she puts chocolate chips in them. 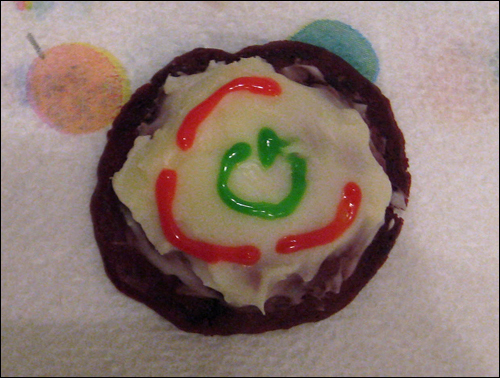 “Red velvet cookies with cream cheese frosting adorned with the Xbox 360 red ring. Sorry Jocelyn, but I don’t think that they’d comfort you. 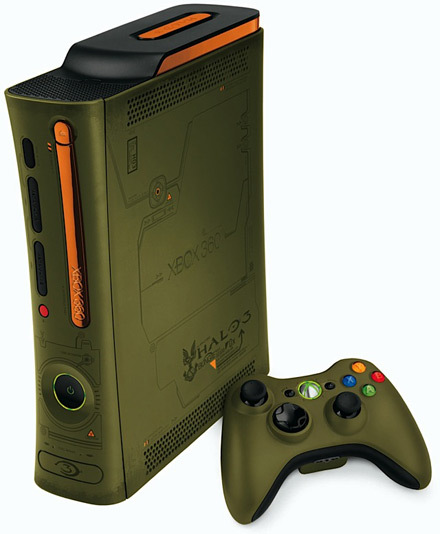 If anything they’d make you weep in a corner while staring at Halo 3 box art in your mind…. Until you tasted them, then it might comfort you….. Anyway hit up the link for the recipe if you do decide to make them, or just look at moar pics.